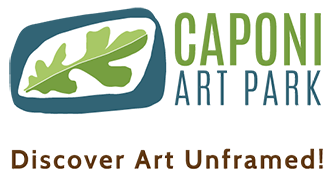 Cheryl Caponi, co-founder of Caponi Art Park with her husband Anthony, is Executive Director and oversees the daily operations of the park including program development, fundraising, and financial management. Cheryl was among a group of 13 women named “2011 Exceptional Business Women” by the Dakota County Tribune. She is a past member of the Dakota County Public Arts Commission. Of recent interest Cheryl participated in the ArtSage Arts and Aging MN Professional Development program. Lauren Balogh, Education and Tour Coordinator, is responsible for developing Caponi Art Park’s educational programs that explore the connections between art and nature. She also works to ensure that other organizations are able to visit Caponi Art Park and enjoy an interesting and educational experience through their participation in tours and art workshops. Lauren received her MA in Art History and a graduate certificate in Museum Studies from the University of St. Thomas and her BA in Studio Art and Museum Studies from Beloit College. Dante Leyva, Groundskeeper, is responsible for general maintenance, gardening, weed trimming and light repairs around the Park and its sculptures. He graduated from the University of Minnesota with a B.S. in plant biology and is an active musician playing with multiple bands around the Twin Cities. Dante incorporates his passion for nature, music, and community building into his work at the Caponi Art Park. Kelly Mroczek, Communications and Development Associate, is responsible for the Park’s communication efforts both online and offline as well as providing support for special events and fundraising activities. Kelly has an MA in Organizational Leadership and over 15 years of experience in helping nonprofits share their story. Steven J Read, Program and Volunteer Coordinator, is responsible for Park programs, activities, tours, and works directly with park interns and volunteers. Steven received a MFA in Sculpture from Pennsylvania State University, as well as a BFA in studio art from the University of Minnesota. Steven’s professional work explores our connections to nature and the history of Minnesota through traditional and cutting edge sculptural methods.